I’ve just noticed this morning that the blog has just passed another landmark, with an unbelievable 10,000 views! Thank you all once again for your support and interest. When I started this wee experiment I really had no idea how it would be received and have been truly bowled over by all the messages of support and continued interest in Eilean Donan. So I’ve finally managed to catch up with the work that piled up while I was away on holiday, and thought that it was about time I got back into the blogging saddle. October is quite an odd month for us all at the castle as things start to wind down. There’s always a slight feeling of anti-climax amongst the team after a busy summer period, and 2010 was our busiest yet. I guess it’s partly because when we open for each new season in March, it takes about 5 months for daily visitor numbers to peak, and yet it only takes about 5 weeks from the end of August for the business to slow up to a relative trickle. That said, the staff really need a bit of a breather after the exertions of August, with over 100,000 visitors to the site. There’s been quite a lot of activity here during October with one thing or another, and I thought I’d bring you up to speed with what’s been going on. As I type the Archaeologists, (who have been here for the last 5 weeks) are back-filling this years excavations. 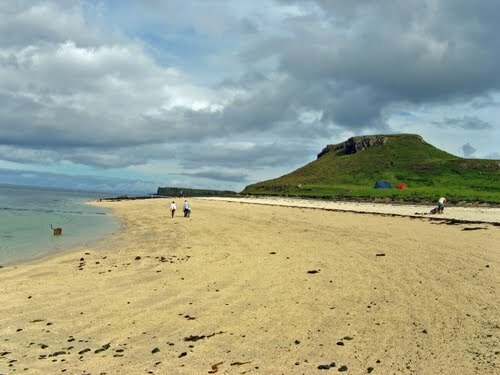 They have been focussing on the same area as last year, on the north of the island, or to the right of the castle as you look at it from the shore. 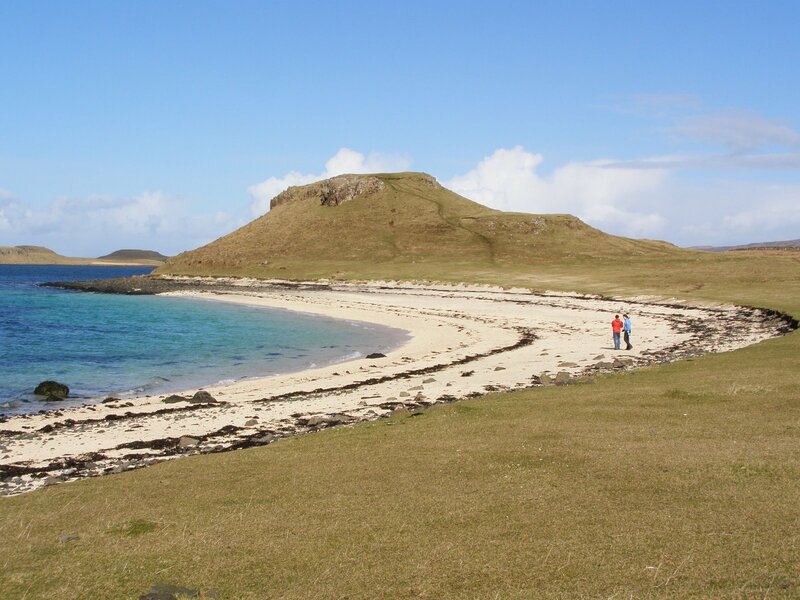 This is the area where we have discovered the most intact remains of the medieval castle. The first priority this year was to remove the back-fill from their 2009 activities to get down to the same levels. Once this was done, the painstaking process of extending the research area was started. The one thing I’ve learned about Archaeology in the last few years is that very often findings will present more questions than answers, and this was certainly the case last year. Hence why further investigation was required in the same locality this year. There has always been something of a mystery surrounding Eilean Donan’s construction timeline through the centuries, and we’ve been hoping to shed some light on the issue. Although this years full Archaeological report won’t be available for some time yet, I can tell you that we’ve discovered clear evidence and remains of three very distinct and seperate construction periods, believed to be between the 13th and 16th centuries. There has been sufficient material found within these three areas to make specific carbon-dating viable, so some of the mysteries will definitely be solved. There’s something quite eerie about looking down at uncovered walls and constructions that have been lying undisturbed for centuries, but it has certainly helped to better define the lines of the medieval castle walls. Once I receive the full report, I’ll post the info up here. In other matters, a film crew was here last week, using Eilean Donan as a location for filming an advert for VisitBritain, so those of you in the UK might be seeing a lot more of the castle on your TV screens in 2011. Watch this space! We’ve also had 5 beautiful weddings this month, although the weather gods could perhaps have been a little more generous with 2 or 3 of them! Wedding bookings for 2011 have gone through the roof for some reason, and I think we’ll host over 80 ceremonies next year, so marriage doesn’t appear to be going out of fashion. The autumn has brought some wet weather, and has highlighted a bit of a major problem with a section of the castle roof. The area above the kitchens and back service areas appears to have sprung several leaks and upon investigation, it seems that we are going to have to replace a great deal of it. We’re hoping to eventually open up new areas of the castle to the public, specifically some of the areas below the kitchen and scullery, but we really can’t consider this until that whole section of the building is completely watertight. 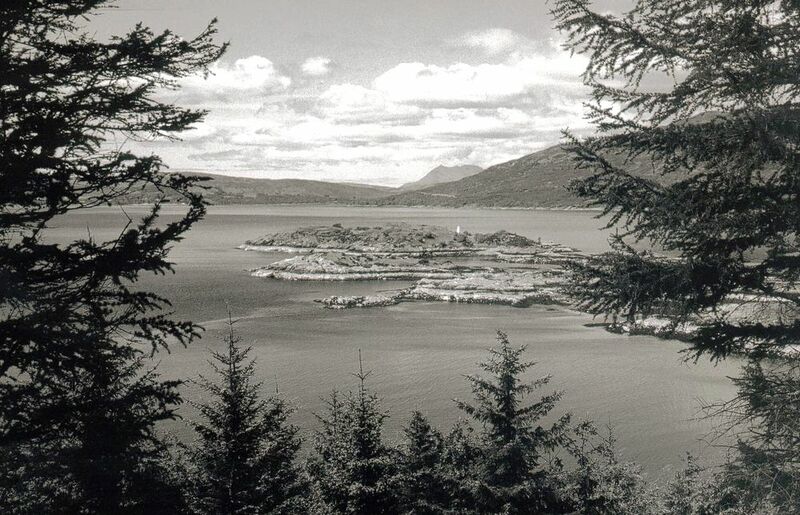 The exposed location of the castle on the island means that it really does have to face some pretty heavy weather, particularly in the winter months, and given that the original construction methods used were somewhat different to those used today, the main castle keep can prove a bit like a massive sponge, drawing in water from all angles. It’s always a battle to keep the place dry, although the introduction of a small army of dehumidifiers a few years back does help to keep the worst of it at bay. The new problem looks like much more major work is going to be required though. Sunday is the last official day of the season, so I’ve been busy planning the staffs End of Season Party; always a memorable event! It’s my, and the Trustees opportunity to say a massive thank you to the whole team for all their efforts. Visitors will always remember the castle itself, but without the dedication and care of this wonderful team of people, the visitor experience might be very different. The party itself will take place on the 5th of November, so there’s bound to be a few fireworks! Any incriminating photographs WILL be posted! Although we close most of the Visitor Centre this Sunday, with the exception of the Gift Shop; next week will see the start of the first ever trial of some limited winter opening hours in the castle. I’ve seen how many more people are now coming to Skye & Lochalsh in the winter months, and as the biggest Visitor Attraction in the area, feel that it is time we tried to offer some services to these winter tourists. Hopefully, if it’s successful we can extend this next year and beyond. As a reminder for those of you that might be visiting, between 2nd of November and 19th of December we’ll be opening the castle on Tuesdays, Thursdays and Sundays between 10.00am and 3.00pm. We’ll also offer the same facility in February, although please remember that everything will be closed during the month of January. Anyway, that’s enough from me for now. Have a great weekend folks wherever you are! 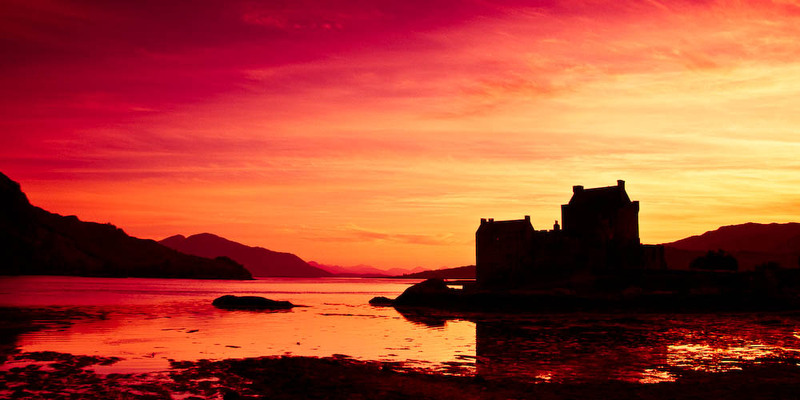 Okay, so lets imagine that you’ve finally made the decision to come and visit Eilean Donan, and you’re starting to do the research as to what else to see and do in the area while you’re here. 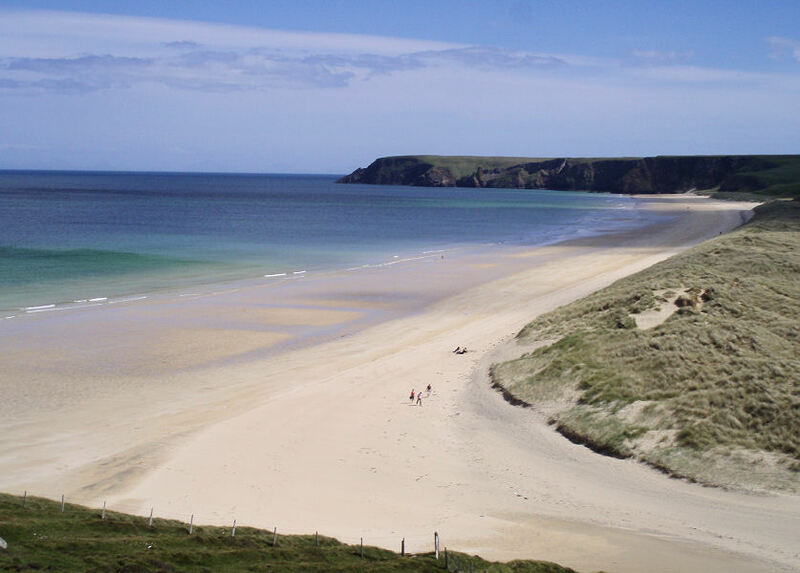 It’s always easy to find the necessary information on the main tourist attractions, but every individual area and region has its’ own little hidden gems which are not always quite so easy to find, unless of course someone tells you about them! So I’m going to give you a little flavour of some of my own favourite spots, a Top 10 if you like, except in no particular or specific order. 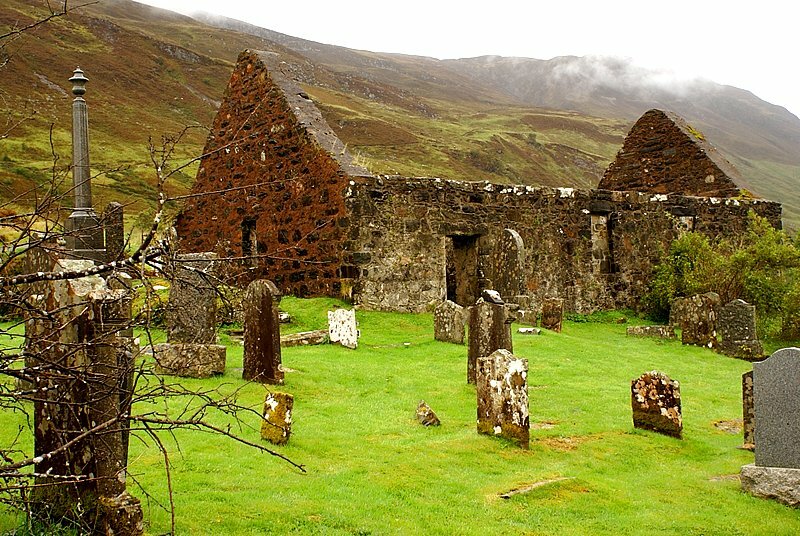 These are places that many visitors to Skye & Lochalsh will often miss, or overlook due to time constraints or lack of knowledge. They are breathtaking places I have enjoyed with my own family, and have re-visited many times. If anything, my biggest problem with this blog entry was deciding how to choose just 10 locations, and I have to confess to keeping one or two little secrets to myself! Sorry! Well the Isle of Skye itself has over 900 miles of coast line so trying to condense what people shouldn’t miss is not very straightforward. Far too many people believe that they can see it all in a day, but realistically, to even scratch the surface and do the place true justice you’ve got to allocate some decent amount of time. So here’s my Top 10. Seek them out, linger a while, and enjoy…….. 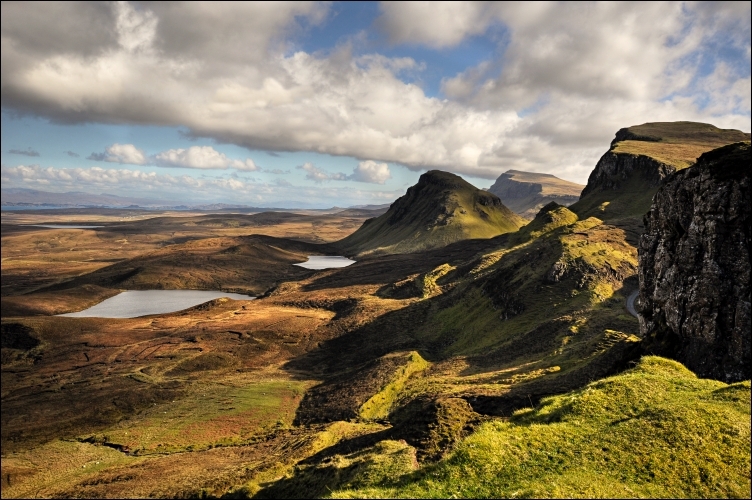 THE QUIRAING – The majesty of the Quiraing never ceases to amaze me no matter how often I visit it. 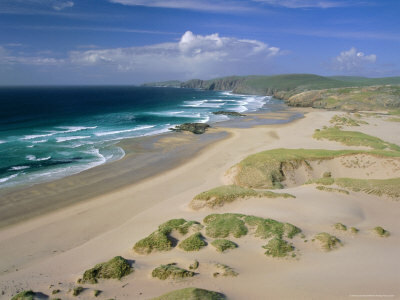 To enjoy it at its best, drive up to the carpark and go do the well trodden walk, you won’t be disappointed. 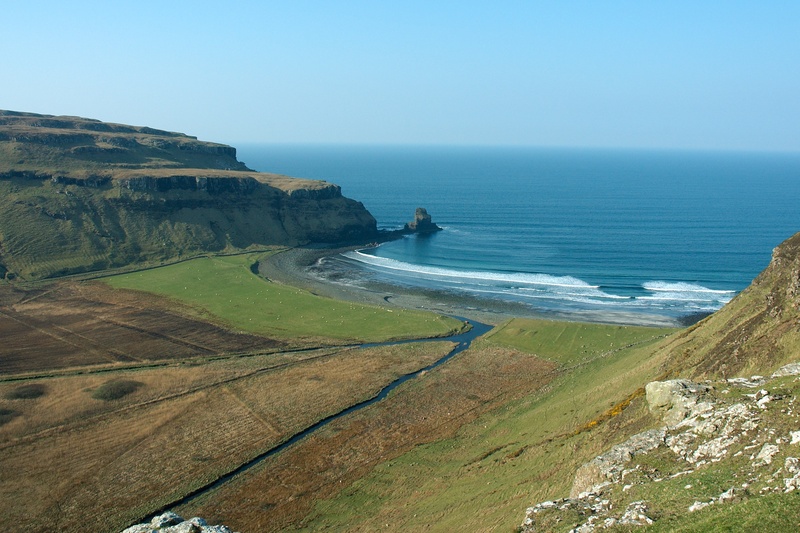 TALISKER BAY – On the western side of the peninsula from the distillery of the same name, this little gem is well worth seeking out! Watch out for the peacocks too! 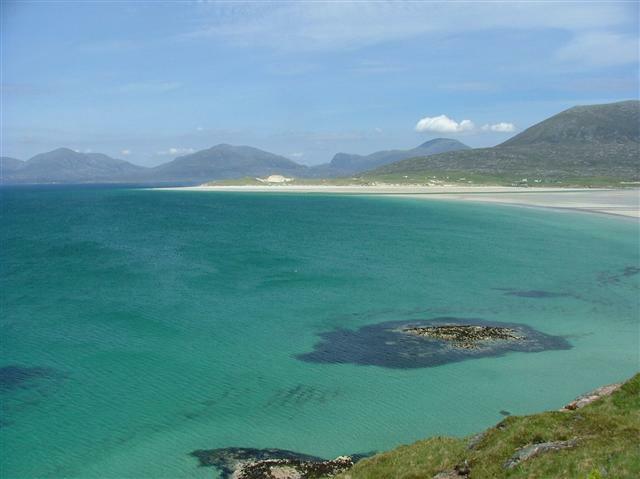 THE SANDAIG ISLES – This is where Gavin Maxwell lived while he wrote “Ring of Bright Water”, and where he nurtured his beloved otters. 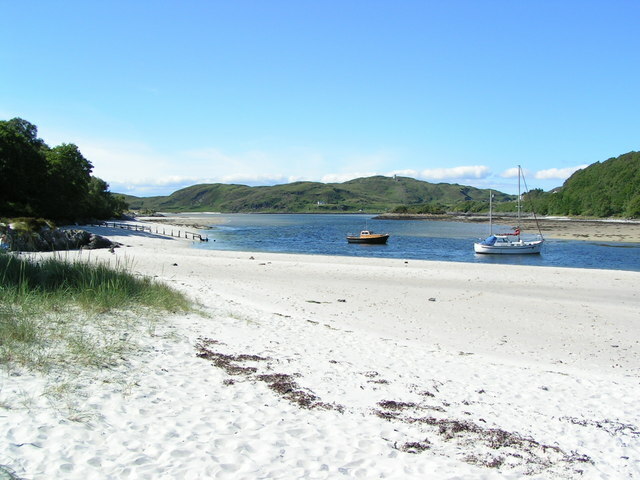 We like to access it by boat, but there’s a glorious walk down through the forrest which is well worth doing too. 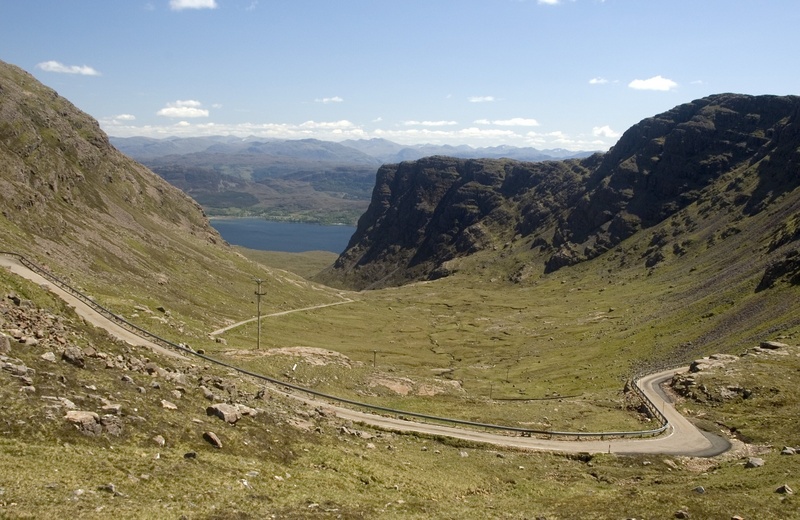 THE BEALACH NA BA – Quite simply, my favourite road in all of Scotland! 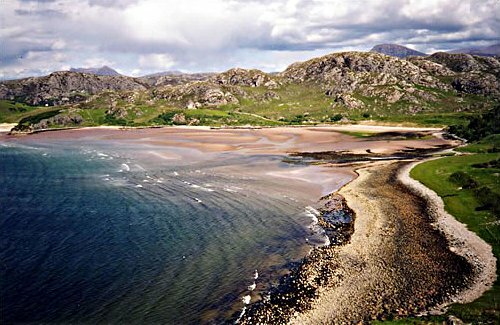 Not only does it lead to one of my favourite spots for lunch, The Applecross Inn, but the road itself is mindblowing! 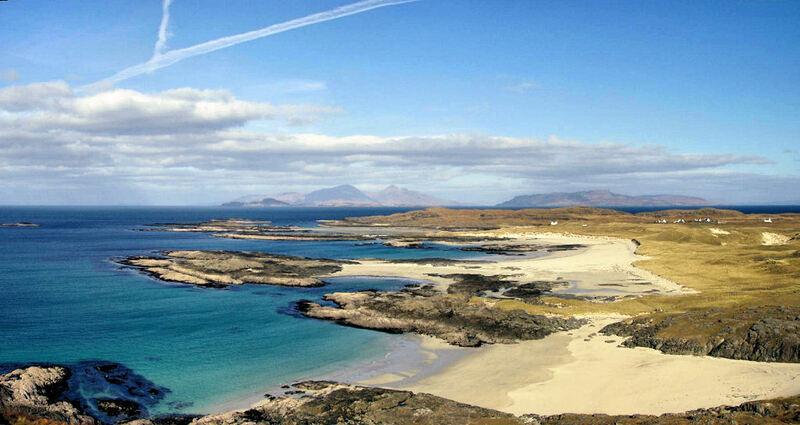 Make sure to stop at the car park at the top to take in the views of the outer isles. 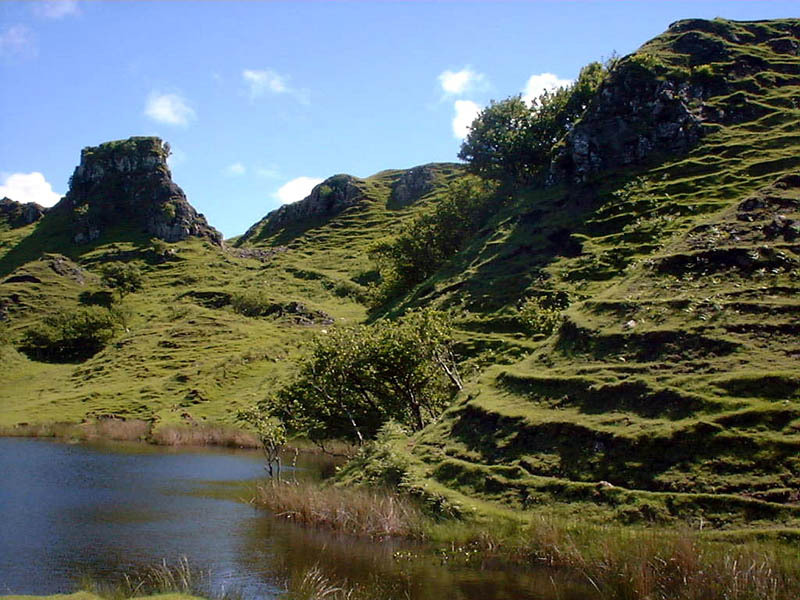 FAIRY GLEN, nr UIG- A short but truly magical walk just east of Uig. Be sure to climb Ewans Castle. We had a picnic on the top and the views are mesmirising. 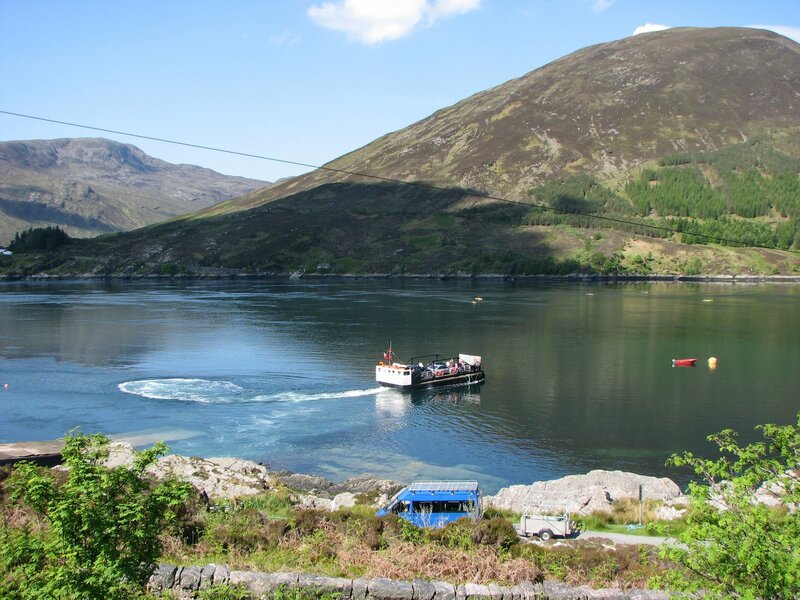 GLENELG FERRY & OTTER HIDE WALK – If you make the effort to come off the road at Shiel Bridge and turn left towards Glenelg, you’ll find a whole variety of rich rewards. Firstly, there’e the incredible view of the Five Sisters of Kintail from the car park half way up the hill of Mam Ratagan, then there’s some of Scotland’s best preserved Iron Age Brochs at Glenelg itself, and then there’s the old ferry which takes you over the Kylerhea straights amid the bobbing heads of the seals. Once on the other side, turn immediately right and enjoy a great walk down to the otter hide. Keep quiet and you just might get lucky! 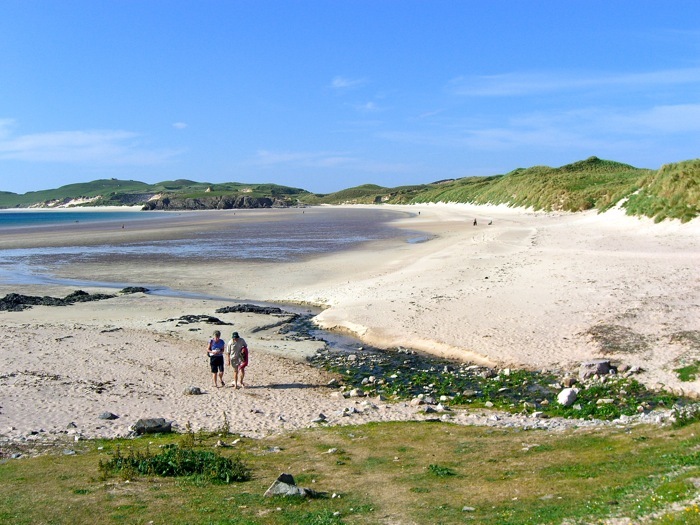 CORAL BEACH, Dunvegan – My kids would probably put this at the very top of their own lists. Drive past Dunvegan Castle to the very end of the road where you will find a car park. 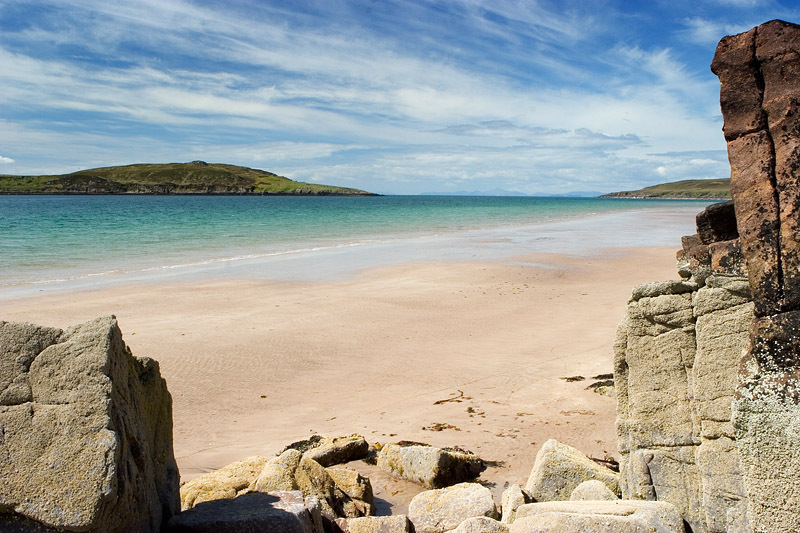 From there, it’s a mile and a half walk along a coastal path until you reach this magnificent white coral beach. Time it right and you might even have it all to yourself! 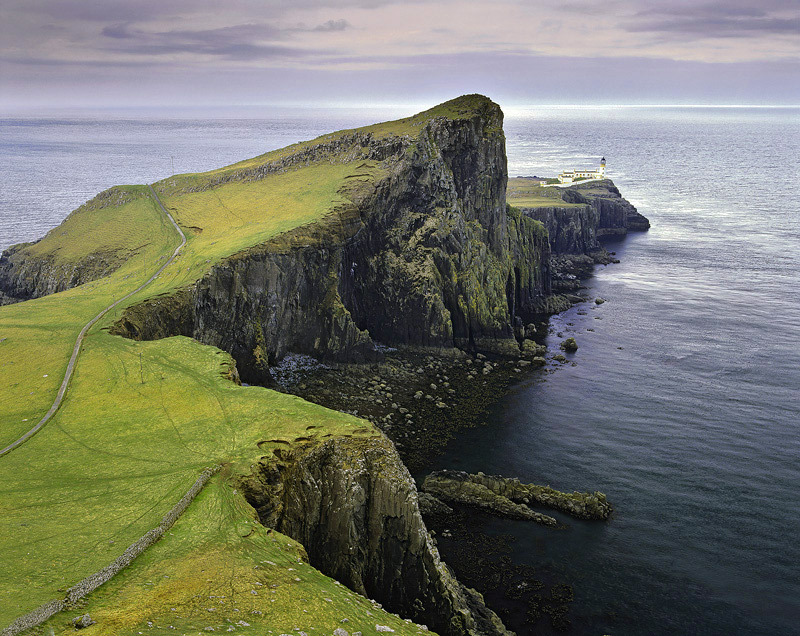 NEIST POINT – on the very North West tip of Skye is an absolute jewel! A walk down to the lighthouse offers the opportunity to spot lots of wildlife. Depending on the time of year you might spot whales, basking-sharks, dolphins, eagles or puffins. This cliff walk is truly worth the effort it takes to seek out. FAIRY POOLS at GLENBRITTLE – a fabulous walk with a stunning reward at the end of it. 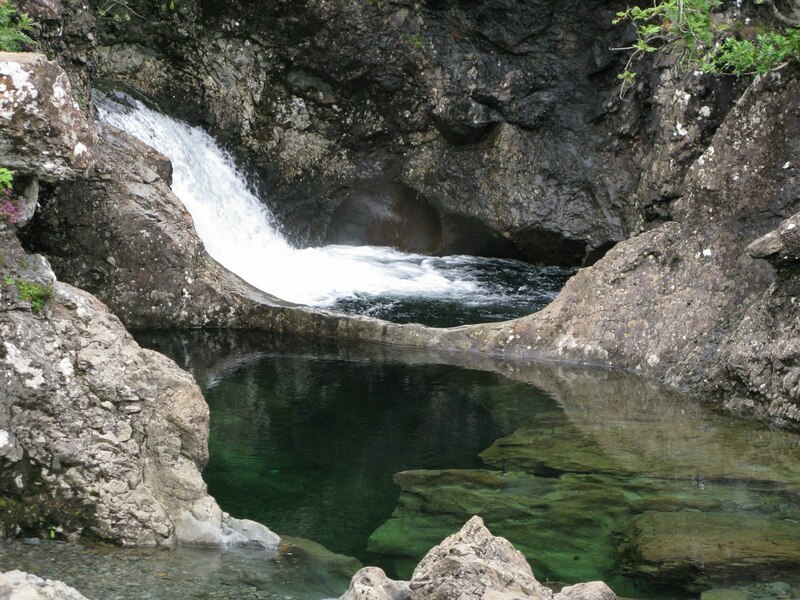 In the summer, if it’s warm, take your swimming togs as it’ll be hard to resist having a dip! LOCH CORUISK via ELGOL – probably my most favourite view of the Cuillins is from Loch Coruisk. Take one of the boat trips from Elgol over to Coruisk, with some stout walking boots and a picnic. 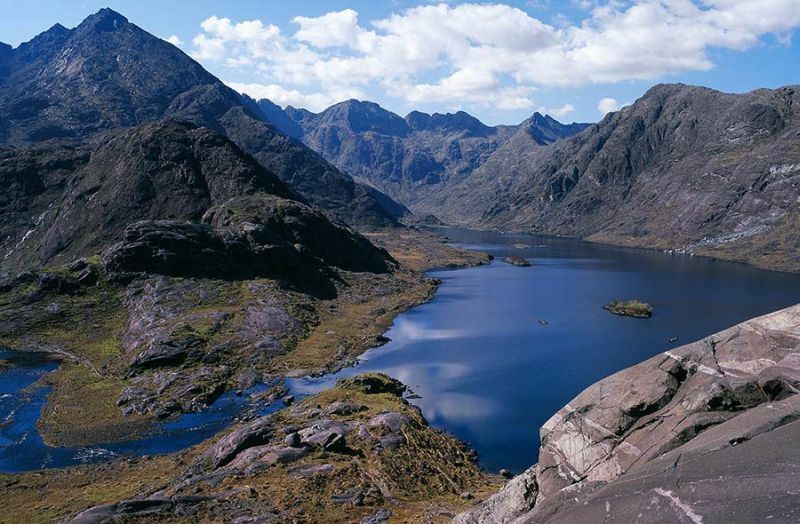 Once you’e reached the other side, after a short walk, just sit and gaze at the glorious amphitheatre that surrounds Loch Coruisk. It’s like God’s Cathedral! The Trustees have always felt strongly about ensuring public access to the castle regardless whether we’re open or closed. Even after dark, you will seldom find the gates locked or access denied. The only time this happens is if we are hosting a film shoot or private event. As such, after the front door is locked each night at 6 o’clock many people still enjoy a stroll around the walls of the castle. Indeed, in the summer months, hundreds of people will still be crossing the bridge until well after midnight. Now as most of you will already know, the castle is illuminated at night, and this offers many, many people the ideal opportunity to have some fun. My house overlooks the castle, and guaranteed almost every fine night is a sight that always brings a smile to my face. 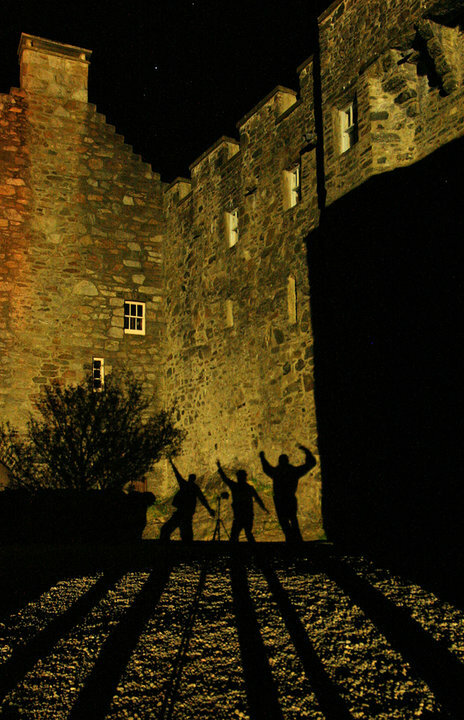 Thousands of people love to play giant sized shadow puppets on the outer walls, and some of the things we observe are just truly priceless! I firmly believe that there exists a big kid in each of us, and the temptation for a lot of people is just too hard to resist. It certainly was for recent visitor and Eilean Donan Facebook fan Craig Doogan and his friends, whose photo I attach below. Try it for yourself next time you visit and unleash that big kid inside! We’ve had some really fabulous weather over the last few days; probably better than anything we’ve seen the entire summer. It was such a great day and so warm here yesterday that I decided to have another experiment with the dreaded video camera! In future, I’m going to have to use a tripod to steady the shots, but to be honest I was more interested in sorting out the technical side of how to actually get self-shot video on here, especially after my last nightmare experience! I think I’ve got it sorted now, so any future videos will focus on some of the internal aspects of the castle. Anyway, I hope the sun is also shining wherever in the world you are today! The accompanying music is “Smirisary” by the wonderful Blazin Fiddles.